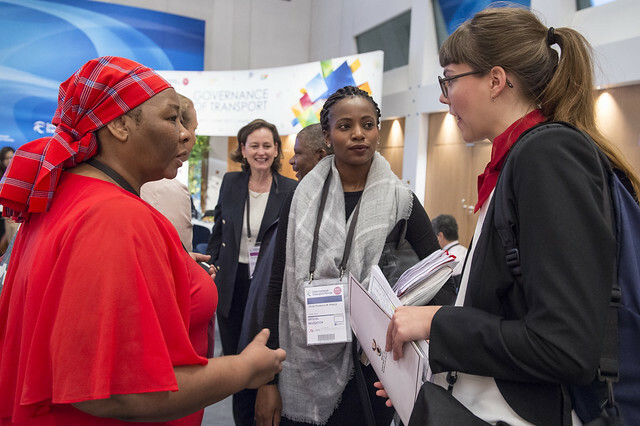 The session on women in transport focused on how better governance can help attract women to the transport sector and increase women’s access to better transport services. The debate started with a panel of four speakers, who shared examples of how to get women on board in the transport sector, followed by a presentation on an overview of the differences in travel behaviour by gender and roundtable discussions among the participants. 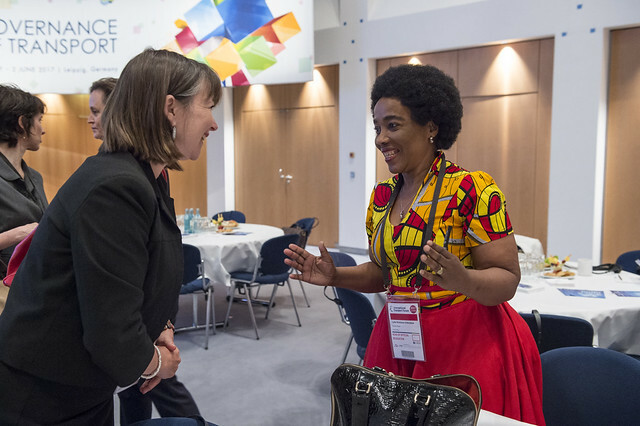 Lydia Chikunga, the National Deputy Minister of Transport in South Africa stated that women’s rights are human rights and the question we need to ask is how to attract women into the transport sector. In South Africa, there are many transport campaigns focused on bringing more women into the transport sector, as well as training for women to empower and train them to be in management positions. There is also a women’s network of transport to advocate policy measures. The challenge for South Africa is finding qualified women with specific skills in the sector. Hence, there is a need to focus on training. It is also important to appoint women in strategic and upper management positions and to leave a legacy for a prosperous future, since empowering women is empowering nations. Paulius Martinkus, the Vice-Minister of Transport and Communications of Lithunia, listed a few solutions to solve the gender unbalance challenge. The options include letting the market fix the problem, setting guidelines for companies and governments, or more radically, to impose quotas. Alternatively, the government could lead by example. Leadership positions in public institutions and state owned enterprises should be gender balanced. The government needs to make a commitment to have a better gender balance in the public sector, so as to lead the private sector. For example, in Lithuania, there was a reform of state owned enterprises in 2011, where professional boards were created based on merit. Vice-Minister Martinkus also emphasized on the role of NGOs and how they can influence others based on what their work is focused on. The government should lead by example through leadership and commitment and not necessarily through financial support. In general, gender balance will lead to more opportunities for business growth. Chiara Corazza, the Managing Director of the Women’s Forum for the Economy and Society, shared some successful examples of women being in high level transport positions in France, e.g. 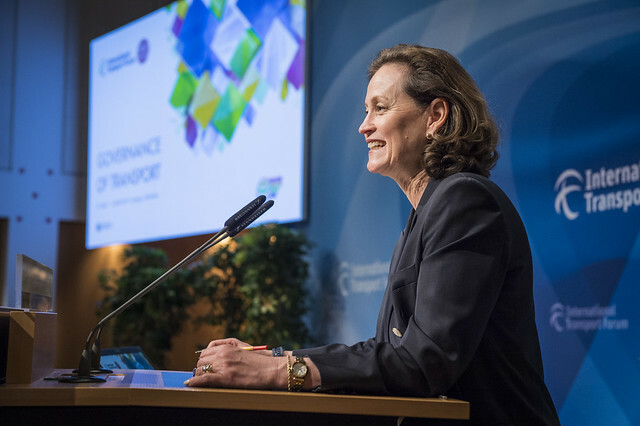 Elisabeth Borne, who was the first women to be the CEO of the RATP and now the Minister of Transport. It is an economic necessity to get women on board, who will bring added value and such opportunities did not happen by chance. It is also important to understand how women use public transport and their perception of safety. Studies show that women prefer using public transport but it is unclear why. Do women prefer to share and use more flexible modes? 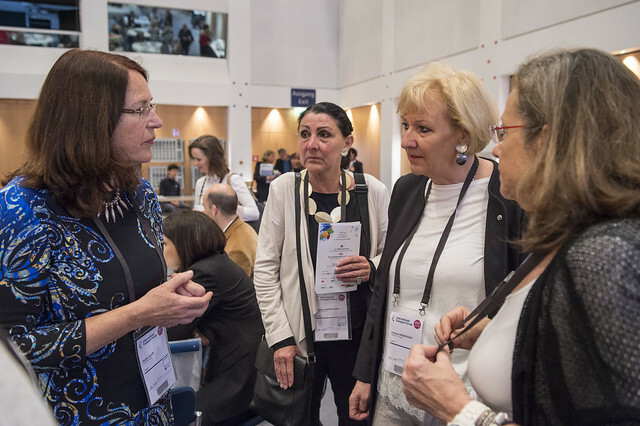 Doerte Stiller, the Head of Center of Expertise Talent Management at Bombardier Transportation, stated that Bombardier transports half of the people in Paris and gender balance is key to increasing their company’s effectiveness. They have 38 000 employees, and the majority of them work in engineering fields or operations, and only 16% of their employees are female, out of which most of them are in finance, human resources and procurement. They have set a target to increase the share of women employees to 20% this year and 25% next year in departments that are currently significantly gender unbalanced. Bombardier has also started introducing key performance indicators on women’s leadership and to establish an internal network that is just as important as having an external women’s network. 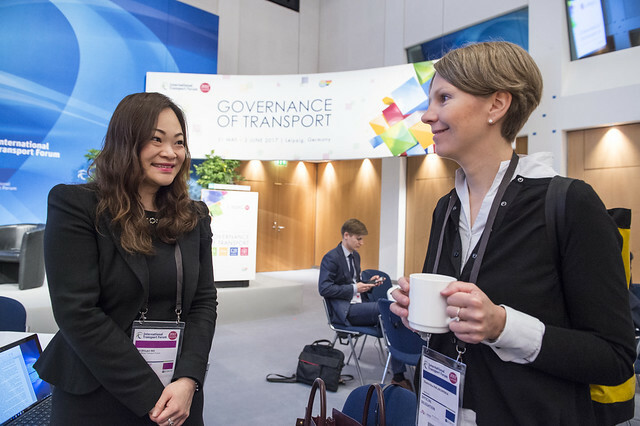 Wei-Shiuen Ng, an Analyst and Modeller at the International Transport Forum presented original results of a new study on travel behaviour by gender. Preliminary results of this study showed that more commute trips are made by men than women in most cities and men dominate the use of cars as their primary mode choice by as much as 50% more than women in developing Asian cities but there is no significant difference in developed cities. Women tend to choose bus services more than men in both developing and developed cities but more men use the train as their primary mode choice in developing cities only. Women also choose to use three-wheeler (in developing cities) and taxi services more than men (both developing and developed cities). The average distance men travel is significantly higher than women’s (40% higher in developing Asian cities on average; less than 10% in developed cities) and more women than men travel during off-peak hours. A better understanding of the differences between women and men’s travel behaviour will allow for the implementation of equitable transport policies and improve existing transport services for women.